What is Wartide: Heroes of Atlantis? Wartide is a hero collection strategy game where you recruit an army of Heroes to reclaim Atlantis. Battle in the single-player Campaign or launch Arena attacks in the Arena Stronghold where your opponents are other players. Only the bravest and most resolute will claim the Atlantean throne. How do I control my Heroes in battle? During deployment, arrows appear over the battlefield that show you the opponent your hero will target, and which enemies will target each hero. When you move a Hero's deployment position, their target may change. Experiment with different formations to gain a strategic advantage over your opponent's position. How do I summon new Heroes? Collect Hero Relics, then visit the Hero Citadel to unlock new Heroes. Hero Relics can be found for sale in the Emporium and other Merchant shops, by opening chests in the Treasury, or by completing Elite Mode campaign encounters. How do I unlock new Hero Abilities? Hero Abilities are unlocked by promoting each Hero. To promote a Hero, find and equip all of the Power Stones listed on the Hero's main page in the Hero Citadel. Where do I get the Power Stones to promote my Hero? Winning campaign encounters is the most common way to acquire Power Stones, but they can also be acquired by opening chests in the Treasury, or purchasing them at the Emporium or from various Merchants that visit the City. Daily Arena rewards are also a source for rare Power Stones. How do I evolve a Hero (upgrade Star rating)? A Hero can be evolved by finding more of that Hero's Relics. How do I find Runes? There is a wide variety of Runes available to find and equip to Heroes. They show up most often as rewards in the Hidden Treasures, Realms of Legend and Dweller Dungeons, may show up for sale in the Merchant shops and Siege shop as well. Why do we need balancing? Perfecting game balance is always top priority for the Wartide team. To ensure fair and fun gameplay, some updates may introduce gameplay improvements. For a detailed rundown on our latest tweaks, check out the official Wartide Forum for details on balancing changes in our updates. Why do you not buy a game account ? You might have heard that it’s safe to buy someone else’s game account, but it’s not. Why? Because it’s impossible for you to prevent the seller from accessing the city that they created. This means you may lose your money AND the account. Game accounts are always bound to their original creator. Even if you pay money for an account, the seller takes your money but remains the license-holder. They just take your money, and then you never hear from them again. Can I play Wartide offline or without multiplayer? Wartide is an exclusively online and social multiplayer game. It is not possible to play offline, or strictly via single-player mode. The game’s core dynamics are based on multiplayer. Multiplayer mode can feel rough to players who want to play at their own pace, but we believe the fun of Wartide lies in the interactions made with other players -- be it through heroes, chats or battles, especially when you have a mature city and a perfect combination of heroes. Notice: Never trust websites that offer free gems in return for your personal log-in details or passwords. We have a free chance to create our username at the beginning of our game. When you want to create another username, you need to use gems. So, pay attention to your first username in case you don’t want to pay for another one. Enter your in-game settings, shut off the in-game music. iOS: How do I reinstall the game? If you’re experiencing glitches and errors, reinstalling the game can help bring everything back to normal. Give it a try. Notice: Playing without the necessary attachment may lead to permanent loss of progress. This may occur: if you start using another device, reinstall the game, or factory reset. Tap your player icon at the top right of your forum screen; Tap "My profile"; Tap "Set Password"; Put in your password then tap "Submit". You will then be able to use the forum with your game account anywhere. I want to post an image. What do I do? Please follow the instruction above to set a password for your game account and then you can use any web browsers to post image. What can I do if I won a battle but the battle log says I lost? This happens when you lose connection to the game servers mid-battle. Your battle had started, but before you had deployed all troops your connection was lost. The game servers will only have registered the troops you deployed before losing connection. We know how frustrating it can be, so before starting an important attack, hook up with a solid Wi-Fi network, or at least a solid 3G/4G connection with a reliable carrier. Full Wi-Fi bars or coverage alone is not always enough to guarantee a solid connection, because local networks can slow down and get overburdened at times. This is especially true if you play in a moving vehicle or on underground public transport. What can I do if I can't remember my Game Center account and password? If you've lost access to your Game Center or Apple ID, please ask Apple for assistance. We cannot access Game Center account information or help players recover lost accounts or passwords. Safe and Fair Play is our effort to provide a secure environment for all Outact games. In pursuing that goal, we do not tolerate cheating or fraudulent behavior. We consider “bot” and “mod” use cheating, and strongly encourage players to remove any of the above-mentioned programs from their devices. We will not debate bans on our forums, social media, support tickets, emails, letters, phone calls or any other method of communication. Third party software consists of unapproved apps that manipulate gameplay. By altering game functionality, third party software aims to provide unfair advantages while potentially putting Wartide’ accounts and privacy at risk. Any other programs that aim to modify or provide unearned progress. What would happen if I cheat in the game? Cheating, fraudulent behavior and any related commercial actions surrounding our games are strictly prohibited by Outact’s Terms of Service. In addition to the very real danger of a compromised account, participating in any of the above practices will lead to penalties including but not limited to evoked in-app currency, temporary game suspension and even permanent closure of the game account. We will not debate penalties and we cannot provide support for game accounts that have been involved in cheating or other fraudulent behavior. Please keep your account safe by avoiding any of these issues. Can I Buying & Selling Game Accounts? Account salespeople advertise advanced accounts, and bait Wartide eager to progress in gameplay with tantalizing and unrealistic promises. Selling, buying, sharing or giving game accounts to other players is against our terms of service and never endorsed by Outact. The seller may take your money and never give you the account. You cannot be sure that the seller won’t continue using the account. They may be selling the same account to multiple people. The account status is unknown; it could already be poised for permanent ban. The account will never be secure; Outact cannot provide support for compromised accounts. If you choose to spend money on the account, it will still never actually belong to you. Fair Play doesn't just mean taking action against 3rd party accounts, but ensuring that your gameplay experience is fair as possible. Any attempt to 'phish' for another player's account or hero will result in disciplinary action taken against the Phisher's account(s). For more information, please visit our Terms of Service. We’d hate for you to fall into this trap, and urge you to stay away from these sites. NEVER share any of your sensitive data with anyone. Not even with Outact - staff impersonation is another common scam. A real Outact employee would never ask for your passwords. Can I delete my city? Players can't delete their game accounts. The game servers have no access to any personal or private information about players, and no sensitive information is ever stored by Outact. If you need help with a Game Center or Google Play account that is connected to a city you no longer have or need, please contact support with detailed information about your username, alliance name, heroes’ level etc. What can I do if I can't link my city a second time? The 'Link a device' function can only be used once per city. After that, your city will be permanently connected to both your Game Center account (on iOS) and your Google Play account (on Android), allowing you to transfer a city using GC/G-Play in the future. All you need to do, depending on your platform, is sign into the correct Game Center or Google Play account, then open the in-game settings and press 'Connect'. The game should now offer to load up your city. If a pop-up says you've lost connection due to another device connecting, it means your game is being accessed from another device at the same time. Please check if anyone you know, like a friend or family member is playing your game on a device that your city has been loaded on. If you notice unusual changes in your city, it’s possible that someone else, like a friend or family member with access to your device has used your account. Additionally, you may have loaded your city onto someone else’s device and forgotten to sign off. Your city can be accessed from other devices only if you’ve shared your Game Center/Apple ID or Google Play credentials. Outact employees will never ask you for your AppleID (Game Center) or Google credentials. Do not give your personal information to anyone for any reason. Doing so will lead to misuse of your account. How do I reset my city? The fun of Wartide is sticking with your city through the good times and the bad times, so the game wasn't designed for being reset and restarted with a sudden impulse. On iOS, you can only start a new city on a new device, but remember that your original’s stays connected to your Game Center account, and this can't be switched. On Android, you need to reinstall the application, but your previous city will remain permanently attached to your Google Play account (if you used Google Play Sign-In). If Game Center prompts you to load a different game, it means the Game Center you’re currently logged into is linked to another save-game. Only one save-game can be connected to your Game Center account, and this connection is permanent. If your current game is not connected to any Game Center account, it will connect automatically to the next unaffiliated Game Center account you log in with. Remember: if your game is not linked to a Game Center account, it will be impossible to retrieve on other devices if it gets lost. If this procedure does not work, and your Game Center account seems to be connected to someone else’s game, please get back to us and we’ll do our best to help. If Google Play prompts you to load a different game, it means your device has been connected to another Google Play account. Remember to connect your base to Google Play with the Google Play Sign-In button. Save your game by connecting it to Game Center. Game Center (which you can find in your iOS Device Settings) automatically saves in-game progress, also allowing you to access save-game data on multiple devices. Important: Game Center only supports one game per account! Attempting to save more than one game to your GC account will result in lost data! Go back to your Home Screen and then launch the game. Save your progress with Google Play! Make sure to save in-game progress with Google Play! Please note that Google Play only supports one game per account! If others would like to start a new game on your device, they must save it to a separate Google Play account. Warning: using the same Google Play for more than one account will result in lost progress! Press the Google Play sign in button to connect your game to Google Play. Save your game by connecting it to Kongregate. Kongregate (which you can find at the top right in your profile) automatically saves in-game progress, also allowing you to access save-game data on multiple devices. Important: Kongregate only supports one game per account! Attempting to save more than one game to your Kongregate account will result in lost data! Go back to your Home Screen and then restart the game. There are many preferences to choose from, allowing you to continue using certain notifications, while offing others if you’d like. Choose which best suits you, and enjoy the custom life. VERY IMPORTANT NOTE: Before you attempt to link your device, please make sure you have played through the tutorial. In order to transfer your city between an iOS and Android device, it needs to be connected to Game Center/Google+. You can verify the Game Center connection on iOS by logging into Game Center and opening the game. For Android, open Wartide and connect your city to Google+ in the in-game settings by clicking the Google+ sign in button. Open the in-game settings window on both devices. Press the button that fits your current device. Select which type of device you want to link your city TO. If you are linking your city from an iOS to an iOS device, use the Game Center User Guide. If you are linking your city from one Android device to another Android Device, try out Google+ User Guide. Use the device code provided on your OLD DEVICE and enter it on your NEW DEVICE. You have a 5 minute window of time before your code is invalid. After you have successfully copied the city transfer code from one device to the other, your city will be on both devices. IMPORTANT: This feature cannot be reused. Following use of the “Link a Device” feature, your game will be connected to both Game Center and Google Play. You’ll be able to use those services to connect your game to further devices. Why do some words appear as stars in the chat? Wartide has a profanity filter that prevents the use of offensive or vulgar words in city or player names. It does so by using asterisks to star out words or letters in a name that can be offensive. This feature is very important for us as we want to keep Wartide free from anything that would cause offense to players. In some cases, the profanity filter can be a touch aggressive and even star out innocent phrases. Please bear with us as we work on making it better at spotting only offensive words. Replays will be stored ONLY 7 days, so please check them as soon as you can! Also, battles that took place within 7 days but before the latest update or maintenance may no longer be viewed as replays, if rules of the related battles do not compatible with the updated version. Wartide is an online game, which means all players need to be playing the same version, and nobody can switch back to a past iteration. We understand that sometimes it is difficult to introduce new attributes to the game to please all players. These new changes apply equally to all the players and our team has made the necessary adjustments to make the game experience more enjoyable for everyone, regardless of what level they are. Rest assured that our team will monitor the current situation and is ready to make improvements to the game whenever necessary. We value all feedback and suggestions about Wartide. The best place to post your ideas on how we can improve your Wartide experience is on our forums. Our staff and volunteer moderators regularly review user-submitted ideas and pass them along to the team. We are constantly receiving awesome suggestions, so check if your ideas have already been posted by someone else. We’re always working to improve our games, regularly adding new features, characters and contents. Want to receive news regarding upcoming updates and cool recent stuff? Please visit our very own Wartide Community Forums to connect with not only our own fantastic moderators, but other dedicated players around the world. Thanks for staying in the loop! I am trying to purchase gems, but received a message telling me to contact iTunes. What do I do? If you receive this pop-up when trying to purchase gems from the shop, it means that there is an issue with your purchase. In-game purchases are made using your unique Apple ID and Password, and because iTunes processes all payments made towards Wartide, we're unfortunately unable to help you with this request. For help, please follow this link to contact iTunes Support. I spent my gems by accident! Can I get them back? By adding intuitive confirmation steps, we’ve done everything we can to limit accidental purchases from being made in the game. When making a purchase with gems, you will always be notified, and asked to proceed before spending any actual gems. This has done very well in limiting these instances. Because the game is a live, online multiplayer game, reversing changes would have adverse effects on other players you've interacted with. As we can’t turn back someone’s progress in the game, or remove features, providing a gem refund would provide, which we see as unfair to other players who earned the same item or upgrade through their own gems or gameplay. All the gems from my order have been removed! As a rule, in-app purchases are non-refundable, and certain conditions apply to any exceptions that we make. Wartide wants to keep the playing field fair and just, and therefore reserves the right to revoke access to any refunded content. This means that if the money used for an order of 1,200 gems is refunded, we may remove that amount of gems from your account. This can result in a negative gem balance in your game if any of these resources have been spent prior to the refund. A positive balance can be restored by collecting resources in-game or making additional currency orders. Following refunds comprising multiple, large orders, it may even be necessary for us to suspend access to a game account. This is also the case if a player has made gem orders using a third-party gem seller, in breach of Outact’s Terms of Service. We understand that no player wants to find their gem coffers empty. Even then, removing refunded gems is the only way in which we can reconcile a gap between a player's payments and gem balance. When you order gems, it goes without saying that they are yours to keep. When payment for an order is cancelled, the opposite is true, just like in any transaction: you forfeit your claim to the refunded item. As an online game, Wartide's economy and mechanics are always the same for every player. The same applies to access to gems. To avoid unpleasant surprise, remember to keep your mobile device safe and locked, and never, ever share your game account with anyone. Why have my gems disappeared? If you’ve opened your city and find that gems have gone missing, it’s because they’ve somehow been spent. Usually, it’s just because another person has used the gems (like a friend or family member). This is also likely if you’ve loaded your city onto someone else’s device, and didn’t sign off. They could be playing the account without you being aware of it. The game cannot use gems on its own, purchases must be requested by the user. Accidental purchases are a possibility, though we’ve added a series of intuitive confirmation steps to prevent this. In order to prevent these instances from happening, please remember to lock your screen after playing. As well, if you’ve loaded your city onto someone else’s device, remember to log out when you’re done. 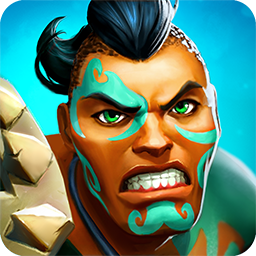 Is Wartide-Heroes of Atlantis free to play? While Wartide is free to play, we do offer the option to purchase in-game currency (Gems) for real money. You can make these purchases through the game itself. These purchases are handled entirely by the iTunes store and Google Play to achieve maximum safety of your personal and financial information. It is very important for us to give our players the ability to choose how they would like to play the game - so every area of the game is equally accessible to players as they level up, regardless of whether they invest real money into it or not. If you would like more information on how to enable, or disable In-App purchases, please check this article. We hope this system provides players with the freedom to choose which play-style suits them. I can't see the shop, or make an order! Purchase problems occur for a few different reasons, their fixes depending on device type. Because Apple processes payments made toward the game, it’s important to have your device settings properly configured before making a purchase. If you are trying to make a purchase with your Google account, it’s possible for you to experience the issues mentioned above. In order to resolve these, please follow the link to Google Play Support. Select “Transactions” to display your Play Store order history. Choose an individual entry to view its corresponding receipt. Some of my resources have disappeared. What happened? We’ve all been in the situation where resources seem scarcer than they ought to be, but please keep in mind that resources never disappear by themselves, and the game never makes purchases on the player’s behalf. Resources are always used to perform an action in the game like upgrading and buying, so that’s the first and best place to look for an explanation. If you can’t find any clues in your city, check your defense log to see if some resources have recently been stolen from you. I connected to Game Center but my city isn’t loading! First things first, please make sure you’re connecting to the right Game Center account. In lost city cases, it’s extremely important to use the correct credentials when logging in. If you can’t prompt your desired city with the email address you’re using now, that means you are not using the right one. If it’s an old email, contact Apple Support to recover your account’s information. Outact cannot access information related to your Game Center account, so we need the help of both you and Apple to find the correct login details that will let you recover your city. I can't connect to Facebook! Make sure your Facebook app is up to date (updated). Force-stop the game by entering your Settings > Apps > selecting your game, then pressing 'Force stop'. Using the method above, force-stop the Facebook app (if you're using Facebook in a browser window, force-stop the browser). Launch the game and try reconnecting the account to Facebook. Find and enter the Facebook bucket > verify that you’re logged in with the right credentials. Launch the game again & check that your account is connected. I can't remember my Google Play account and password! Sorry Challenger, we don't have access to player emails and credentials, but don't worry. We’re here to help anyway! If you cannot access your Google account, please follow the troubleshooting in this Google help center article. If you have forgotten your password or Google account credentials please use this account recovery form. If your account was disabled please contact the Google Account Recovery team. Make sure to include a description of what happened when the account became disabled. For a smooth Wartide experience, it's very important that you are connected to a reliable network and that your device's signal is strong. Full Wi-Fi bars or mobile data coverage alone is not always enough to guarantee a solid connection, because local networks can slow down and get overburdened at times. This is especially true if you play in a moving vehicle or on underground public transport. As with any other online service, we recommend playing over Wi-Fi with a good internet service provider, or at least a solid 3G/4G connection with a reliable carrier. What happened to my upgrade? If one of your upgrades didn’t finish properly, you most likely had a connectivity error somewhere along the way. Based on your device’s connection specifications, “Lost Connection Warnings” can take up to a few minutes before turning up in the game. As a result of the delay, you may continue playing as usual before being notified, however any progress made during this period will not be saved. These errors will occur due to a variety of reasons, including but not limited to: poor Internet connection, server issues, ISP errors and/or device performance. My sound effects are gone! If your settings are in order, but your game is still muted, restart by fully exiting the app, and reopening it. I was attacked by the same player twice! Getting attacked by the same player more than once can happen in Arena. Don't worry, there is no hacking involved. The search is still random, and no player can choose whom to attack. Range for matchmaking is wide, to make sure players can find opponents at all times. This works both ways: sometimes you get attacked by an overpowered opponent, and sometimes you get the opportunity to attack a city that's no match for you. You can check History and seek revenge players who have attacked your city, which skips the current matchmaking, and can result in matches with a large difference. Here at Outact, we don’t process payments for in-app purchases, or have access to any of your credit card information. That’s because the payment transactions themselves are completed through Apple’s App Store or Google Play (depending on your device) via your personal email address associated with that account. Receipts for these transactions are emailed to you by Apple or Google after each purchase (though please note that any post-purchase processes are controlled by Apple or Google and are subject to change by them). I've seen another site that offers me in-game products for Wartide games. Can I buy from them? Beware of any third-party sites that promise you enhancements for our games (like “free gem” websites, etc). These sites may collect your personal information, money, or both, and often never deliver the promised in-game products. If you want to make an in-app purchase, the safest way is simply to make the purchase through the game itself on your mobile device. Selling, redeeming or trading virtual in-game currency is otherwise not allowed by our Terms of Service. How does chat work in Wartide Game? Many of our players enjoy interacting with one another through group chat in our games, and we work hard to maintain a safe and secure environment for this. We have also built, and constantly update, a 'blacklist' of offensive words and phrases that can be quickly found and removed from all areas of our games. We've also made it possible for users to block chat from any other player whose messages they do not want to see. If you prefer to report any concerns by email, you can also reach us at support@wartide.game. In your email, please be sure to include as many specific details as possible, to help us quickly understand and identify the issue.